Sarah Nemecek is a Movement Educator. 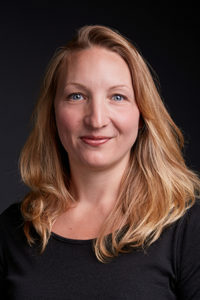 She currently teaches dance technique from a somatic perspective at the University of Oregon, Lane Community College and Eugene Ballet Academy. Sarah is a Guild Certified Feldenkrais Practitioner®, working one on one and with groups, to explore movement options for more vital living and strategies for sustainable exceptional performance. Sarah has earned a BS in Kinesiological Sciences from UNLV and an MFA in Dance from the University of Oregon with emphases in collaborative choreographic processes and somatic/physiological integration for the dance classroom. Her research has been presented for the International Association for Dance Medicine and Science and been published in the Journal of Dance Education. Sarah also works locally as a performer and choreographer and enjoys the creative spirit and support of the community here in Eugene.